Watch Ruposhi Bangla Live with High Quality On YuppTV. 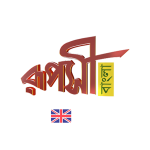 Ruposhi Bangla is a Bengali entertainment channel it was launched on August 31 with shows of different categories ranging from reality to socio-mythology, feature films to news updates and from comedy to drama. Ruposhi Bangla is a production of Brand Value Communications Limited, a division of Kolkata based Rose Valley Group of Companies. The look and feel of the shows is glamorous but the heritage value of Bengal has been retained completely in its shows. There is an underlying perspective in every programme which reflects the richness of bengali culture and also the ubiquitous Bengali feelings.